A selection Large yachts were always the hallmark and attraction of boot Düsseldorf. Only up in Düsseldorf can you see large yachts – unique worldwide – whilst keeping your feet dry and protected from the elements in the halls. The location by the Rhine, a 120-tonne capacity travel lift and a ramp on which even heavier boats can trundle through the streets into the halls all make it possible. This year the largest measures 37.19m in length and weighs a good 180 tonnes on the scales. Even if the beautiful luxury-class ships are only affordable for the few, there is scarcely a visitor who fails to be fascinated. 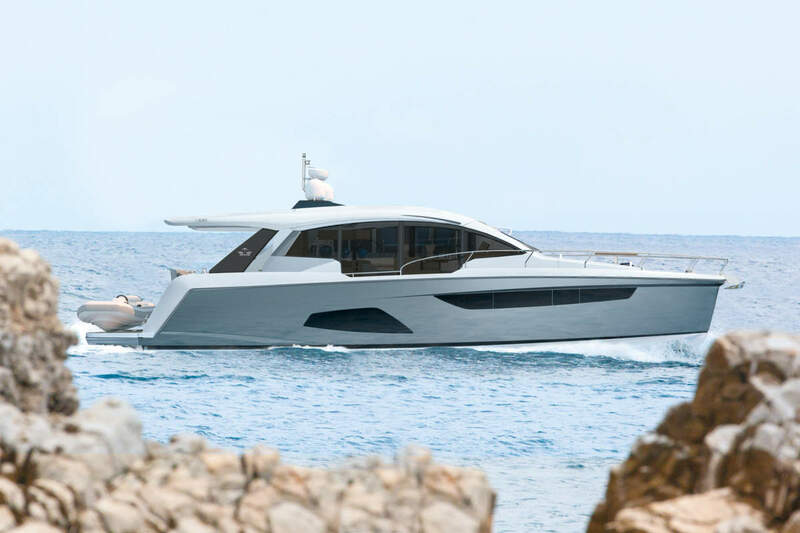 The Cruiser/Racer Solaris One 60‘ (18.97 m) by Se.Ri.Gi., a world leader from Italy, sports a well-conceived standard layout, with other designs possible at an additional charge. The design reflects the over 35-year experience of the shipyard, gathered from building more than 180 individual bespoke yachts (Hall 16, Stand 16 / D21). For the first time in mainland Europe, Oyster is presenting the Cruising Yacht 575 (17.99 m): the sloop was created as a composite build of Kevlar, carbon and e-glass. With four cabins, it is intended as a family yacht; one of the two cabins with bunk beds could also be assigned to a two-man crew (Hall 16, Stand 16 / C 58). 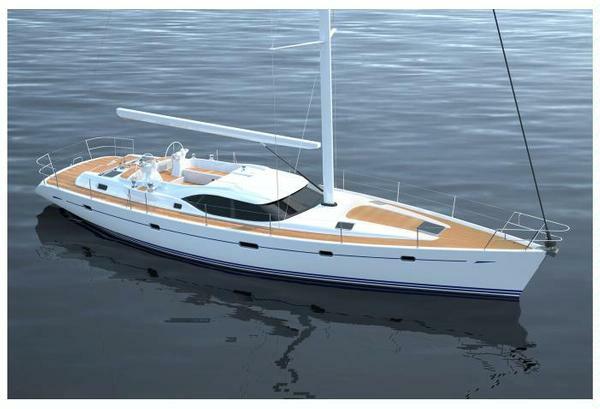 The cruising yacht Jeanneau 57’ (17.78 m) from France is aimed at lone sailors, who wish to travel without a crew. The latest model is available with three, four or five cabins, which can accommodate up to ten people, and the tender is housed in the stern (Hall 16, Stand 16/ B 02). 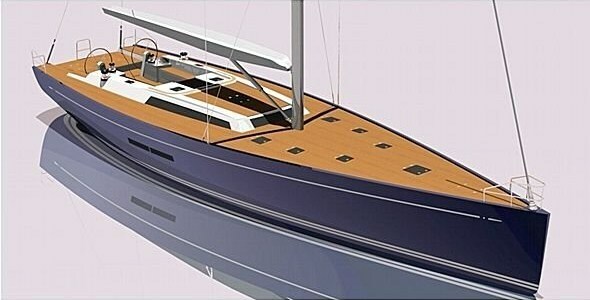 Hanse Yachts (Greifswald) is introducing their latest innovation, the long Hanse 545 (16.20 m). For its internal fittings there is a choice of three suggested designs (Hall 16, Stand B 78). Farmont Yachts (Düsseldorf) has its yachts finished in e-glass in the Turkish city of Antalya. The ketch Marleen (17 m) celebrates its worldwide new entry. In the standard version there are, in addition to the owner’s cabin in the stern, three further cabins – two for guests, as well as one in the forward areas for crew or children (Hall 6, Stand 6 / A 10). The Elegance 122 RPH (37.19 m), individually built to customer demand in Taiwan for the Drettmann Group (Bremen), is the largest this year and a worldwide new entry. The triple-decker distinguishes itself through its clear and elegant interior design. For the owner and guests there are five cabins and three for the crew. The two MTU 16-cylinder motors yield 7,300 horsepower between them. Economical diesel usage and great range are the essential characteristics of the worldwide new entry Bandido 66‘ (20.60 m), an explorer from the Drettmann Group. As the smallest Bandido it has only two instead of three decks, but is in no way inferior to her big sisters. The interior is equipped with three cabins plus optional extra room for the crew. In the case of the Drettmann Group’s Elegance 68‘ (20.73 m), owners specify to a large extent the layout and fittings. The one on display contains three cabins for the owners and one for the crew. A Böning ship control system at both stations are included amongst its highlights (Hall 6, Stand 6 / E 27 – D 27). 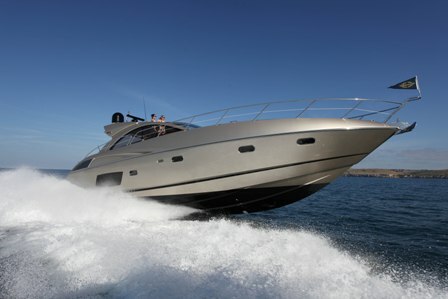 Seen for the first time in mainland Europe, Sunseeker (Great Britain) with its two MTU motors can reach up to 30 knots. The client gets a say in the layout and fittings. The bathing platform can be hydraulically lowered and also serves as a berth for a tender weighing up to 550kg. 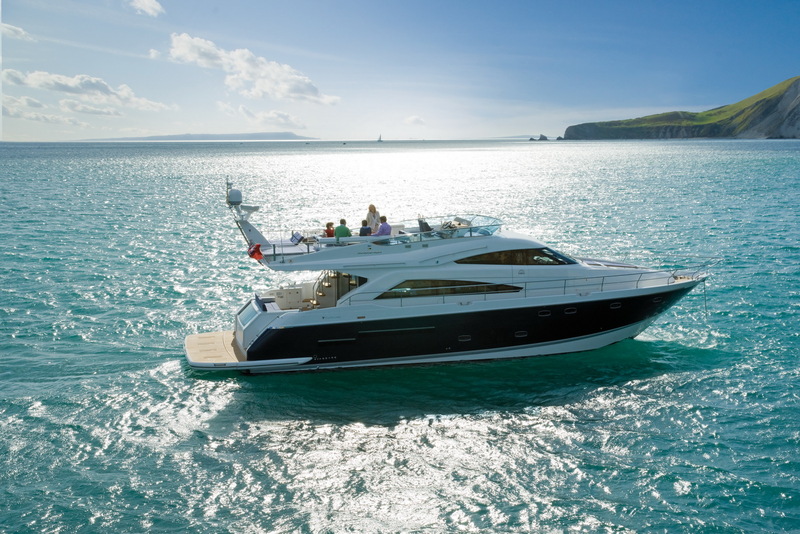 The newcomer to Germany, Sunseeker Predator 60‘ (19.37 m) goes up to 42 knots, available in an open or hardtop version. A smart detailed appearance awaits you in the cockpit. The sun area projects out over the stern compartment and creates additional length. The newcomer to Germany, Sunseeker Predator 54‘ (17.45 m) replacing the Portofino 53‘ has received new lines. Created in an Italian open style, it is a sport cruiser with a retractable glass roof over the helm (Hall 6, Stand 6 / D 61). Princess from Great Britain is presenting three new models. The up to 40 knot worldwide new entry V 85’ S (25.91 m) offers four cabins for owners and guests, and two for the crew. The V 62‘ has three cabins in the bow, and the V 78‘ has four (Hall/Stand 6 / E 41). Built in classic trawler style with a Portuguese bridge the Fleming 65‘ (21.70 m) from Taiwan has a walkway around the front of the wheelhouse. It can be seen at Arne Schmidt Yachts (Hamburg). The trawler is designed for long voyages. While the main deck is reserved for steering, eating and living, there are three cabins for six people one level below (Hall 5, Stand 5 / C 20). Sanlorenzo (Italy) presents as its newcomer to Germany the third generation of the 62‘ (18.90 m). It has been modified and brought in line with models 72‘ and 82‘, to a degree that the shipyard is already talking of a new model. The new one has an added fold-away bathing jetty. Below deck there are three cabins for the owner and guests, as well as one behind the pantry for the crew. As is usual at the shipyards, the owner has a say in the fittings (Hall 6, Stand 6/ D 41). Fairline from Great Britain has lined up the newcomer to Germany, Targa 58‘ Gran Turismo, a sport cruiser with a helm stand in a salon decked with contemporary fittings, three cabins for the owner and guests and, as an extra, a fourth one for the skipper. The Squadron 65 with its fly bridge has four cabins available (Hall 6, Stand 6 / E 61). Furthermore, about 120 exhibitors are presenting models of large and even larger super-yachts, which are too big for the Düsseldorf exhibition halls – or which are currently being worked on around the world. There are also their proposals for construction, design, interior and fittings. ← Can Porsche rule the waves too? Fearless 28 coming at you! 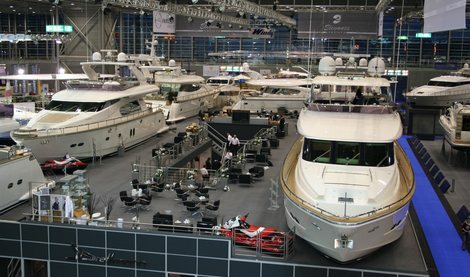 Boot Dusseldorf was great, always i think the best boat show in Europe for all thos interested in seeing some of the play toys of the rich but also great for those interested in just getting on the water in an affordable way. All in all great show and nice review.